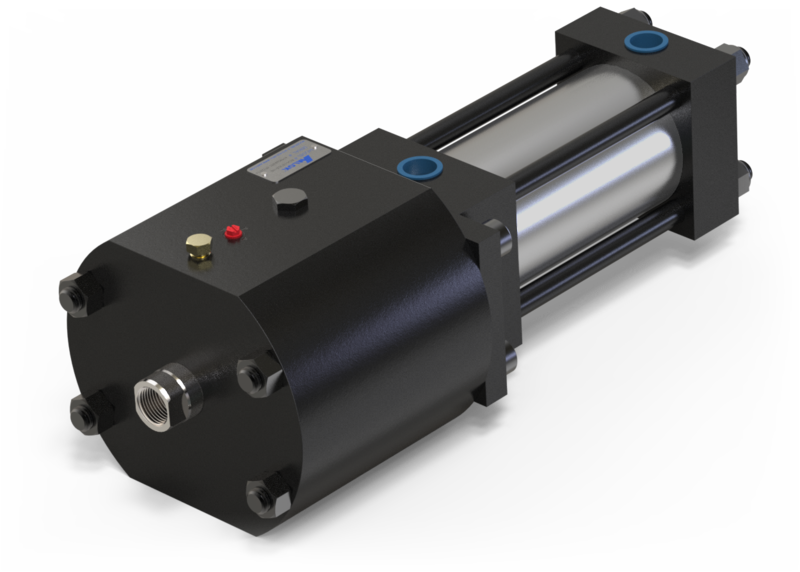 RCH Hydraulic Rod Lock for NFPA Cylinders / Actuators | Advanced Machine & Engineering Co. The AMLOK® Rod Clamp has been developed to provide power-off clamping of rods and shafts. 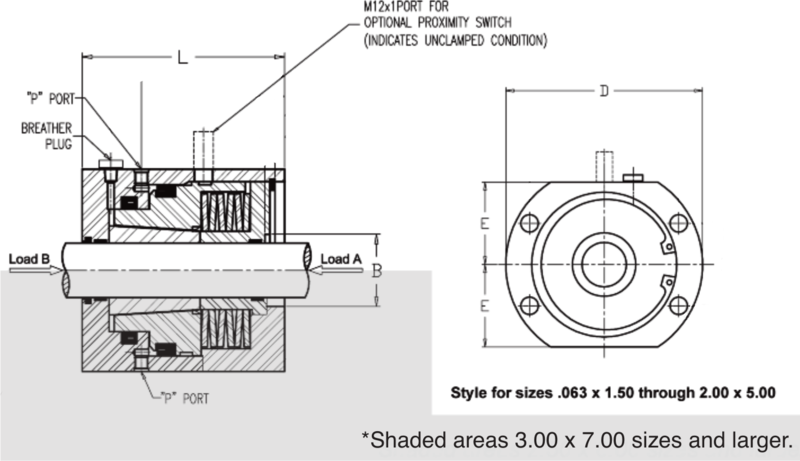 The type RCH Rod Clamps are actuated by a spring/collet mechanism and unclamped by hydraulic pressure. These rod clamps are designed to clamp components after the motion has stopped and to hold the position securely as long as the forces do not exceed the table values. For braking applications, contact the factory.